A hernia is the protrusion of an organ through its containing wall, and groin hernias are the most common types of hernias. In men, groin hernias occur more often on the right side than the left, and in situations where there is raised abdominal pressure, such as builders doing heavy lifting, or smokers who are prone to bouts of coughing. While they are more common in men, they also occur in women. According to Dr Ba Nguyen, General and Colorectal Surgeon at Epworth, men will often notice their hernia lump getting progressively bigger during the daytime, particularly if straining and upright, and then smaller, or ‘reducing’, once they lie down. Occasionally the testes may swell up if the bowel descends into the scrotum. Sometimes, the bowel can get trapped in the hernia, causing a bowel obstruction which requires emergency surgery. Many people are asymptomatic (without symptoms), and only discover a hernia by chance through scans for to an unrelated medical investigation. These hernias have often been present since birth, and sometimes doctors choose not to operate depending upon size of the hernia and other factors. There are two options for surgical repair of a hernia: open or keyhole (laparoscopic). Both options are widely used and depend on your circumstances. Both involve the use of a prosthetic mesh to reinforce the abdominal wall. “Recovery is more rapid following keyhole surgery, particularly if we repair both sides at once. However, the approach needs to be individualised to the particular hernia and patient characteristics,” Ba says. “For example, if there is any indication that the patient may have prostate issues, then it may be more appropriate to avoid a keyhole approach which may interfere with future prostate surgery. “We advise patients not to swim for two weeks, and to shower rather than take a bath over that time as well,” Ba says. Activities such as walking and cycling are perfect post-operatively, but it is best to avoid gym workouts for a month. Ba recommends seeing your GP if you discover a lump or a dragging sensation in the groin. 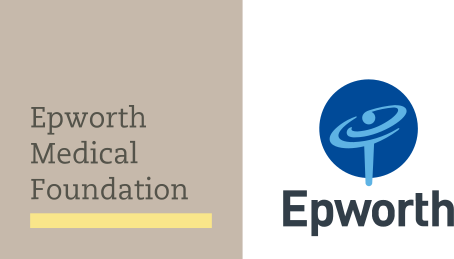 You can find a specialist on the Epworth website. Search by name, location or speciality.